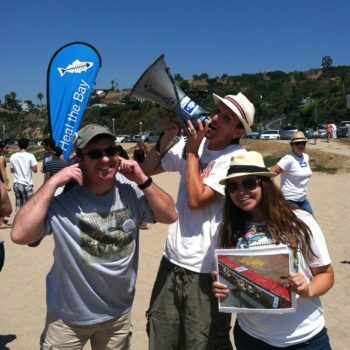 Looking to get involved as a Heal the Bay volunteer? Look no further! Sign up for our next Volunteer Orientation. We offer a variety of cleanups in Los Angeles County for individuals, groups and companies. See what’s new on our Events calendar. An office odyssey every week: Creative projects, data entry duties, supplies and inventory support, and so much more with Heal the Bay staff! Wanna roll up your sleeves at a cleanup? Or would you rather take long walks on the beach and monitor Marine Protected Areas with binoculars? Or maybe you’d love to help educate the public at our Aquarium? Select a tab below to get the low down on all our enticing Aquarium, Beach, Outreach, Community Science and Youth programs and opportunities. What: Our monthly all-ages beach cleanup bonanza. When: 10 a.m. to noon on the third Saturday of every month except December. Where: A different L.A. County beach each month. Note: This is a rain or shine event. Cleanups are only cancelled for lightning or thunderstorms. We will still hold the cleanup in light and steady rain. In this case, please come prepared with a rain jacket, appropriate shoes, and an umbrella. Where: Heal the Bay HQ. 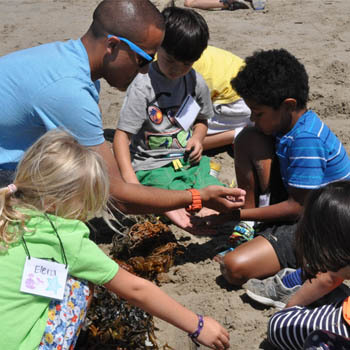 What: Attend one of our monthly Volunteer Orientations to learn more about Heal the Bay, our current issues, and how you can get involved with our exciting Aquarium, Beach, Outreach, Community Science and Youth volunteer programs. 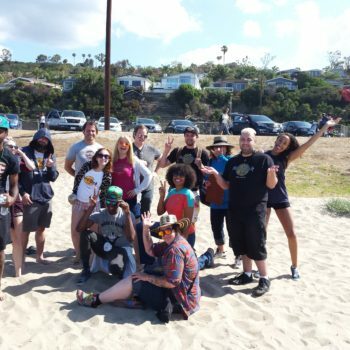 What: Heal the Bay interns are a special fleet of ocean advocates who are constantly learn new skills while supporting Heal the Bay’s events and campaigns. Where: Heal the Bay HQ, Heal the Bay Aquarium, and all over L.A. County. What: Invite an environmental science educator to deliver an interactive, fact-filled presentation on the story of Southern California’s water system and the causes of–and solutions to–marine pollution. What: Show some TLC to an L.A. beach of your group’s choice by cleaning it up three times a year. Where: Choose from over 25 L.A. beaches. How: Complete the online application. Note: AAB groups must have at least 15 participants. Commitment: Complete three cleanups within the year. 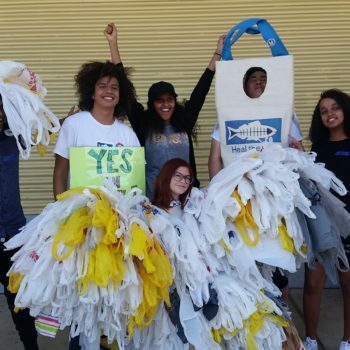 What: Connect your middle- or high-school environmental club with Heal the Bay to earn service hours and special perks. Where: Any L.A.-area middle or high school with an existing environmental club. 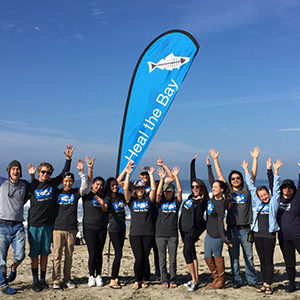 Commitment: Participate in a minimum of three Heal the Bay volunteer events per school year. 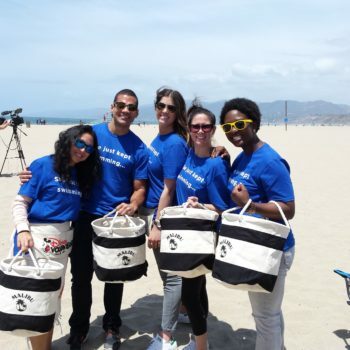 What: An educational presentation followed by a beach cleanup to build your business team’s morale and enhance your company’s environmental commitment. Where: Cleanups are held at Santa Monica Beach. How: Step 1: Choose your sponsorship level. Step 2: Contact our partnerships team for more information. 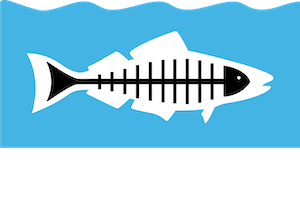 What: Heal the Bay relies on the generosity and commitment of its corporate and foundation supporters every day. Grants, sponsorships and partnerships make it possible for us to pursue our important mission of making the coastal waters and inland watersheds of Greater Los Angeles safe, healthy and clean. Short on time but still want to make a difference? Consider making a financial gift to Heal the Bay. 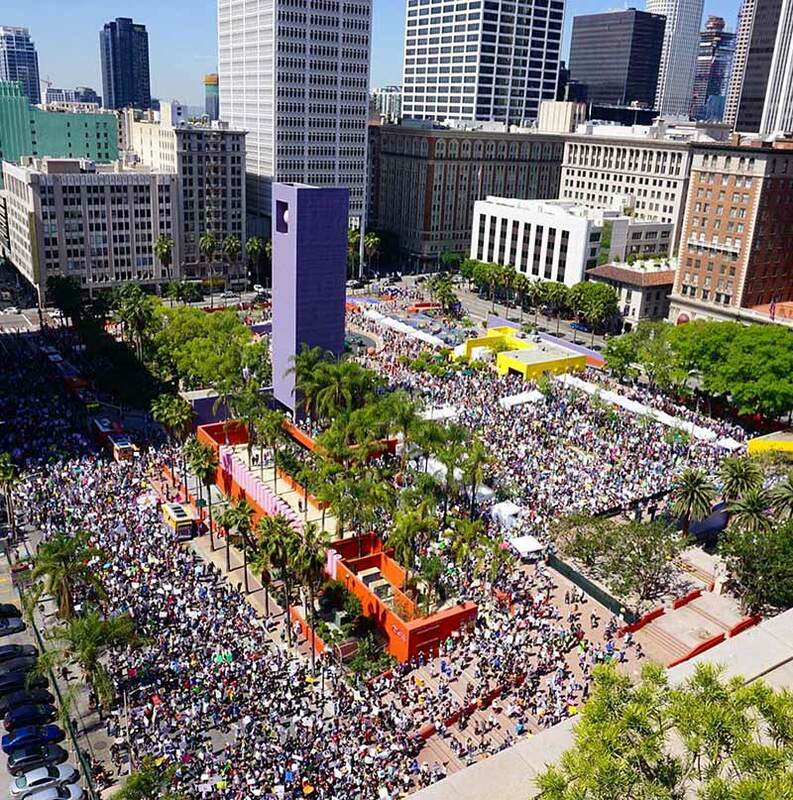 With 75 cents of every donated dollar supporting science-based advocacy, grassroots community outreach, and award-winning educational programs, your contribution is a smart investment in a cleaner, bluer L.A.
Share a post, send a Tweet, or join our Earth Month campaign to spread ocean awareness and love. Our advocates always move the needle. 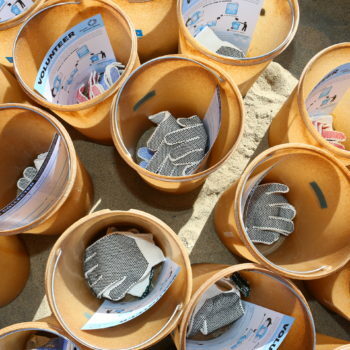 Curious about what kinds of trash we find at beach cleanups in Los Angeles County? Dig into the Marine Debris Database for an inside look at the epidemic of single-use plastic pollution, cigarette butts and more. Search for the latest water quality information at your favorite beach using the Beach Report Card — a simple, yet comprehensive app that provides A-to-F water quality grades for more than 650 beaches along the Pacific Coast. 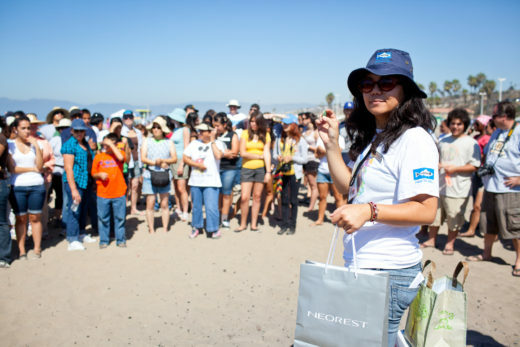 Our work at Heal the Bay is powered by volunteers. 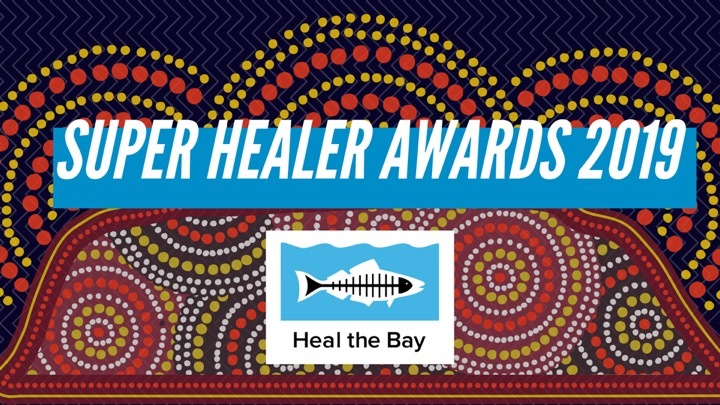 Meet our award-winning Super Healers 2019. 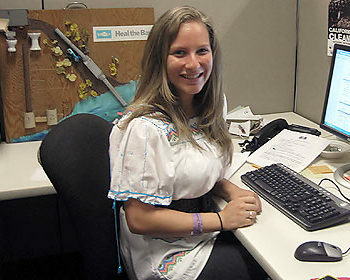 These individuals truly go above and beyond their volunteer roles. 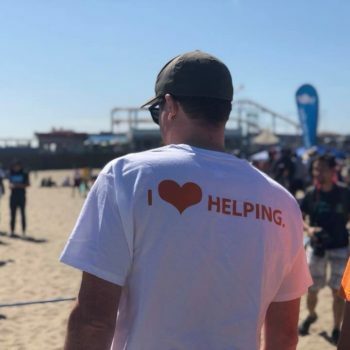 They inspire others in their community, they bring amazing technology advancements to Heal the Bay, they are involved in multiple Heal the Bay volunteer programs, and they are always eager and enthusiastic. “When I walked through the doors of the Santa Monica Pier Aquarium, I was full of passion for the ocean, though not sure where that could lead. The Aquarium inspired my desire to be involved in conservation and marine science and it was here that I finally became aware of the scientist and educator within. 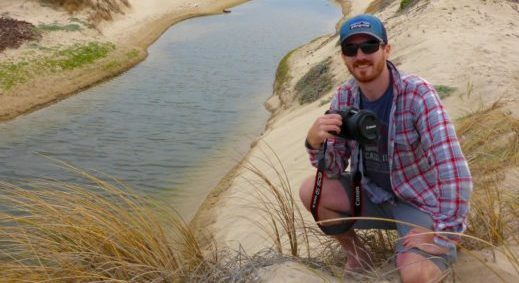 The Aquarium was the catalyst that motivated me to pursue degrees in marine science.” – Brenton, an Aquarium volunteer and nature photographer, is working on his doctorate in biology at UCLA. “Heal the Bay gives me hope for a cleaner ocean, a cleaner planet, a better community, a better me. It has made me realize whatever I do–at the beach, at home, at work, on the street miles from the beach, or anywhere–affects the health of the ocean. Also, I like that even though we have huge events with hundreds of people, I’ve had the chance to meet wonderful people and make great friends.” – Terumi has been a Volunteer Beach Captain since 2004. “Heal the Bay inspired me to pursue my interest in environmental activism and then gave me the tools to mobilize my peers. Through Heal the Bay programs and training I developed important public speaking and leadership skills and was empowered to become an environmental youth advocate.” – Zola has been a Heal the Bay volunteer since she was 12. 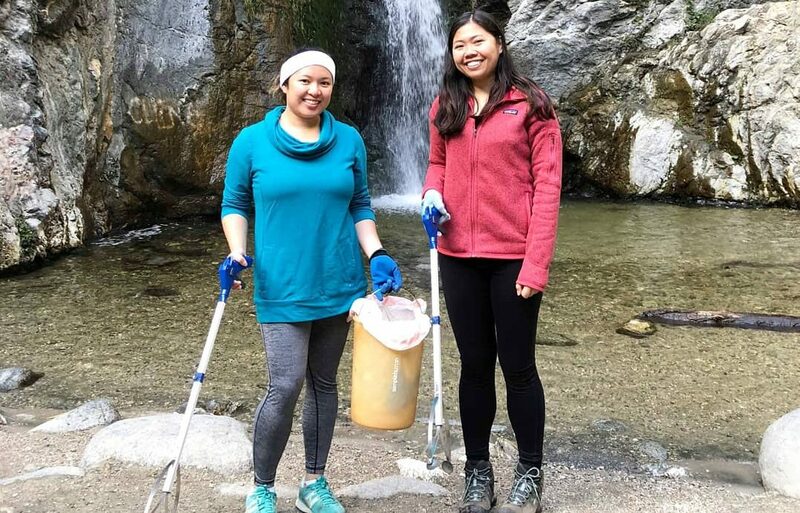 “Today we went to Eaton Canyon and picked up a bucket’s worth of trash. Of the many things, we had a few towels, gum wrappers, and of course, plastic water bottles. We also saw orange peels. Just because it’s biodegradable, doesn’t mean you can still carelessly throw it on the ground. It still takes about a whole 6 months for orange peels to decompose. 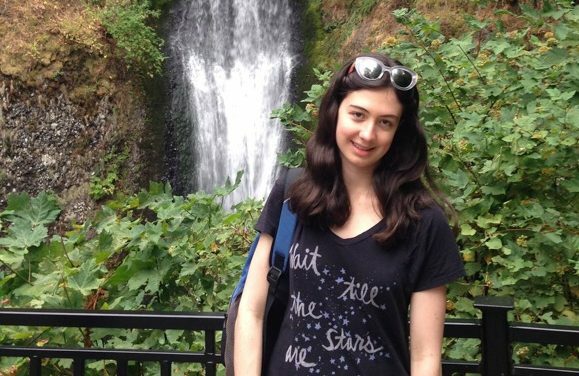 During that time it can attract unwanted bugs and creatures you wouldn’t want to encounter on your hike.”- Kelly is involved in several Heal the Bay volunteer programs: Speakers Bureau, Street Fleet, and Beach Captain.